Lamb cooked with bell peppers, tomato, onion, herbs and spices. 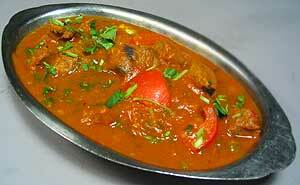 Boneless chunks of lamb cooked with spinach, herbs & spices. Lamb cooked with bell peppers, onions, peas and mushrooms in curry sauce. 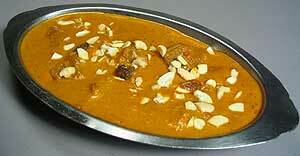 A very hot lamb curry cooked with potatoes in a tangy sauce. Lamb cooked with onions, ginger, garlic & lemon.